•Here is a pre-owned 2016 bass in immaculate 9.9/10, unmarked condition. 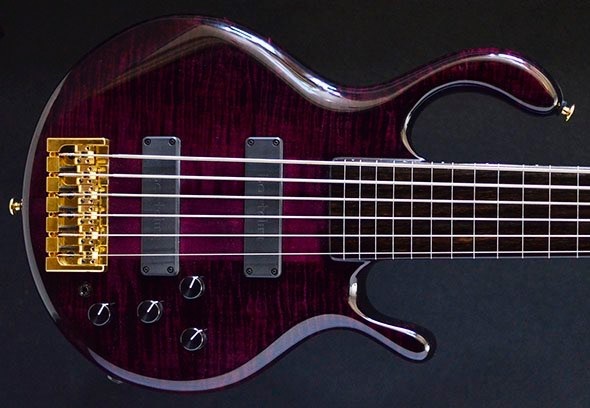 The bass has been fully cleaned and set up, featuring: 5A quilted maple body, Pedulla Purple trans finish, maple through neck, ebony polyester finish fingerboard. 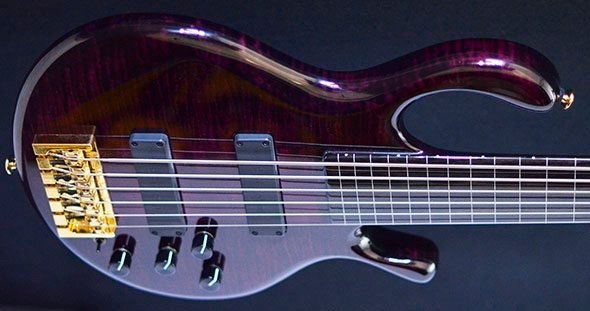 (£5950 new price) A unique opportunity to acquire one of the most famous fretless basses. Includes original Pedulla case and truss rod tool. Based on the unique design that first brought M.V. Pedulla to prominence, the MVP (fretted) and Buzz (fretless) basses combine hard-hitting tone with player-friendly ergonomics, making them favourites for the stage and studio alike. Available in 4-,5-,6-, and 8-string configurations, the MVP is a fretted bass featuring neck-through body construction for superb sustain and tone, plus a sleek and facile neck shape, ebony fingerboard, and a beautifully sculpted flame maple body. 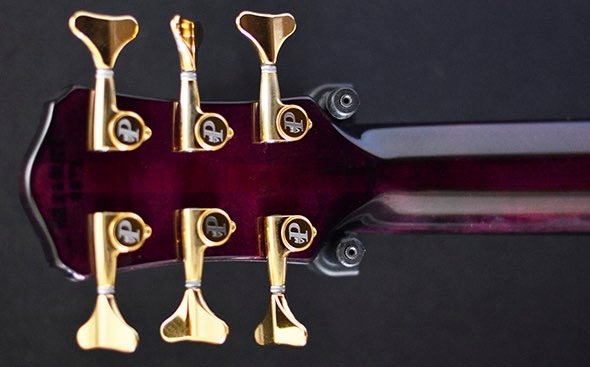 The ergonomic design includes a deep cutaway on the treble side for easy access to all 24 frets, and an extended bass-side horn that provides a perfect balance point when a strap is used. The 5-string and 6-string basses are available in both 17.5mm spacing and 19mm spacing. A three-piece laminated maple neck passes through the entire length of the body, providing maximum focus and sustain. In addition, a double-acting truss rod and two steel stiffening bars in the neck reinforce and maintain stability. The 24-fret ebony fingerboard is inlaid with 5mm mother of pearl dots, and its hardness resists wear and contributes to the MVP's distinctive tone and sustain. PJ combination: This set-up is extremely versatile and as a result is the most commonly used pickup configuration of the MVP/Buzz series. The PJ, to our ears, is the best way to reproduce what the strings and wood of the instrument are doing acoustically. The split “P” has a tight midrange growl, and combines very well with the upper mids of “J” pickup. With a full -range, flat frequency response, the PJ set-up allows you to tailor sound through careful selection of amplifier, cabinet and EQ. JJ combination: The JJ has the same bridge pickup as the PJ, but can provide more low-end with just the fingerboard pickup and more upper midrange with both. Finger sound is warm and slap is full of growl and bite. Soap Bar (SB) humbucking pickup combination: This configuration packs a lot of low-end bite, a full midrange and a very bright high-end (this sucker has guts). The bridge pickup has a similar round, tight sound as a single J pickup, and is slightly thicker. The soapbars also have an integral straight gain preamp. For maximum flexibility, the current standard control layout on the MVP/Buzz series consists of volume, pan, active treble and bass controls (which boost or cut the bass +/-15db, and the treble +/-15db), plus a midrange boost/cut switch. The amount of boost/cut on the midrange toggle is adjustable by trim pots in the control cavity, as is the overall preamp gain. Hardware was specially chosen to complement the natural acoustic design of the MVP, as well as for their quality and reliability. A durable and lustrous polyester finish protects the MVP/BUZZ from the rigours of performance and travel. The fretless version of the MVP, the Buzz series, embodies the essence of fretless bass: responsive to every nuance, able to translate the most subtle of musical expressions, yet possessing the same authoritative tonal spectrum as the MVP. The Buzz series consists of the Buzz, PENTABUZZ, HEXABUZZ, and OCTABUZZ, with 4, 5, 6, and 8 strings, respectively. 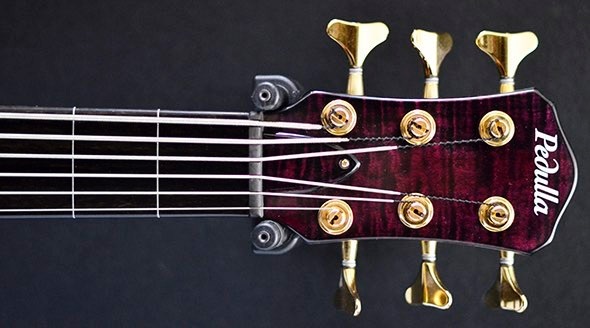 Its polyester-finished fingerboard is glass-smooth, giving the Buzz its distinctive voice, while protecting the ebony from the rigors of performance and round wound strings. Inlaid white markers in the fingerboard (also available without markers or custom sideline markers only) guide the player, and are especially helpful to both beginners and seasoned veterans. All other features of the Buzz are identical to the fretted MVP models. All Pedulla instruments are proudly handcrafted in the U.S.A. using the finest woods, electronics, hardware, and building techniques. We do not offer (nor have we ever offered) any “import” models. 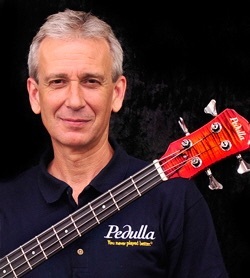 Each and every Pedulla bass is made here in our shop in Massachusetts by me, Michael Pedulla. Unlike many other bass companies, we are in the business of making “instruments”, with the belief that an instrument is a tool which allows the artist to express their soul, their character, as their art, without limitation. If the instrument is rewarding and encouraging, it leads us to want more, learn more, express more, and play better. We do not believe that these qualities are found in mass production. Creative designs, solid tools, skilled hands, passion for what you do, and a big helping of whatever it is that makes us individuals, is what makes great instruments. It is the very same qualities that make great musicians. Designing and building instruments has always been my passion. After 40 years of experience I can honestly say that the basses are, without question, the best they have ever been. My years of experience help, however, it takes more than that. Without evolution and growth there is no point to life, no value in who we are, or in any thing we do. Achievement lasts only seconds before it becomes the past. It’s what we do in the present that counts, in any art, form or function, and life itself. One can never rest on past achievement. Each and every new bass is made to these standards, start to finish. I never settle. I can always do better, and I strive to do better with every bass. The hands now know inherently what to do. Neck shapes are not measured, the hands remember, they are measured to feel. Sculpting, fretting, sanding, finishing… all exacting and unforgiving. Yet once the techniques are ingrained, one goes above the science and technique, and enters the art. Like musicians, you work very consciously on techniques and develop tools and strong foundations. At some point, somewhere down the road, those tools and techniques become so refined that you no longer actively think about them. That’s when the magic happens. At this level of performance, you are able to get the inside out, imparting soul and character in your craft. There are those people that have great technique, yet lack the art, the magic. Magic hits you square between the eyes, you can’t define it, but you know it when you see or hear it. It comes from deep within and it's always unique. It lives in the instrument and becomes totally yours... the feel, the sound, and the soul. This is the essence of a true instrument. Through all the turmoil and pleasures, twists and turns life has brought me, the one constant for the throughout the years has been building, always challenging me, on good days and bad. 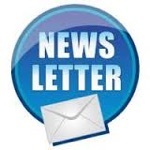 Life experience, top of the world to bottom of the barrel, absolutely influences your art. Without it, it’s all technique, and no soul. 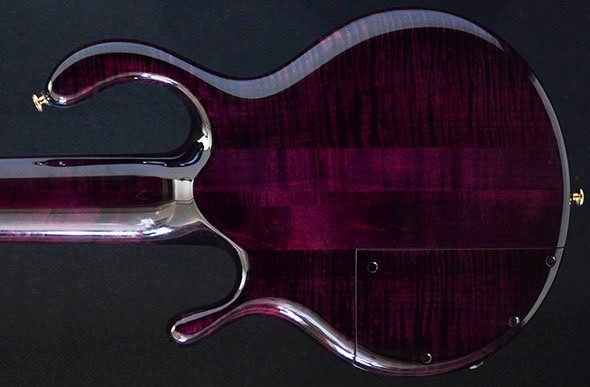 Tangible improvements include a new technique for better fingerboards, improvement to the truss rod system, larger and better inventory of wood, additional steps in blending, finish preparation, new finishing techniques that accentuate the wood figure (and also result in a smoother and more lustrous finish), improved electronics, and many other details too numerous to mention. Although I have always made every Pedulla guitar, I spent numerous years training, supervising and managing production workers (none of them were actual ”luthiers”, each just worked on various parts of the basses - i.e. some did lumber cutting/woodwork, some did wiring and installing electronics etc). I have returned to building every bass 100% by myself, which makes for more limited production but allows me to put all of my focus and energy on each bass I make (without any distractions) and the result has been the best basses ever to have the Pedulla name.